Deep Purple has been keeping busy, even nearly half a century since they began. The current lineup of the band features classic MK II members Ian Gillan (vocals), Roger Glover (bass), and Ian Paice (drums), teamed up with guitarist Steve Morse (formerly of Kansas and Dixie Dregs, who joined in 1993) and keyboardist Don Airey (Whitesnake, Rainbow), who joined the band in 2002. The group released their latest album, Now What, in 2013; it was hailed as their best release in years and welcomed rave reviews from fans and critics alike, this one included. Despite this I am torn as to where I stand on the band these days. In recent years, the band has released a myriad of live albums of contemporary shows, many of which have been lackluster, largely due to Gillan’s faltering voice, which is really beginning to weigh the band down, particularly in performances of the “classic” Deep Purple songs. In the past five years, we got two home video/live album releases from the band featuring an orchestra backing them up, which added absolutely nothing to the performance. Virtually identical setlists and a weak vocal performance on many of the tracks on those albums did not help things either. 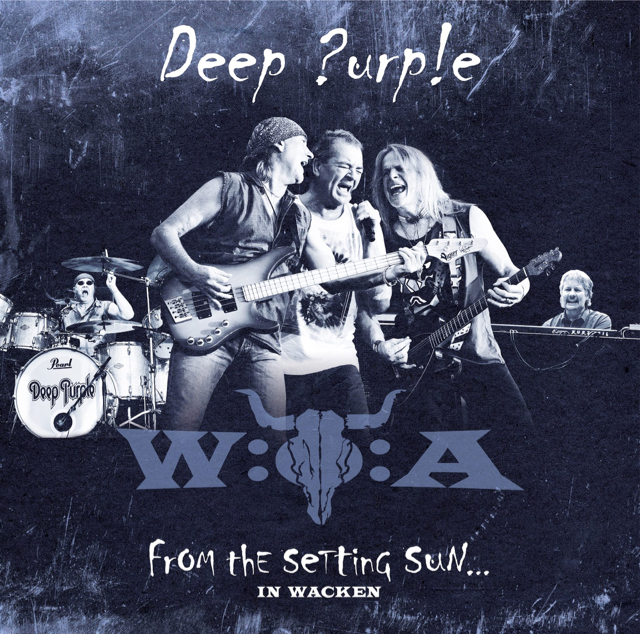 Deep Purple From the Setting Sun... was recorded at the legendary Wacken festival. That said, with the release of this pair of new live albums, which follows the release of Now What, this fan was optimistic. Would this be the redemption of the band’s more recent live releases, or another in a long line of disappointments from the modern incarnation of the band? 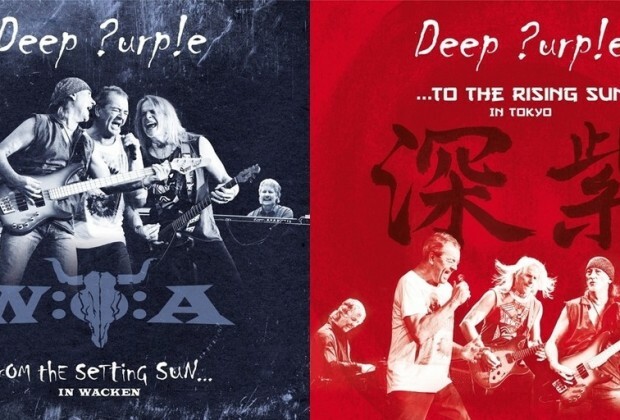 How do From the Setting Sun… (recorded at Wacken) and …To the Rising Sun (recorded in Tokyo, Japan) hold up, and are they worth adding to your collection? No one is a bigger fan of classic Deep Purple than me; I own practically the band’s entire catalogue and there is little in it that I do not love. This fan finds Steve Morse to be a great guitarist and Don Airey to be the superb choice to fill the shoes of the late, great Jon Lord. Glover and Paice fill their roles in the band perfectly and sound as good as ever. Ian Gillan, on the other hand… okay, admittedly, he is not the only problem here. The performances on these releases, for the most part, are solid. The problem is that the two albums are practically identical, with very little differentiation! The Japan album features “Uncommon Man” (one of the best songs on Now What) and “The Mule” (a very underrated cut from Fireball), but is missing the legendary classic “Highway Star,” while the Wacken album is vice versa, featuring “Highway Star” but lacking those two other cuts. The albums score points for not trying to incorporate an orchestra that contributes nothing to the live experience, and for incorporating some of the choice cuts from Now What, but for the most part the setlists are predictable, featuring primarily songs we have heard a million times before on the Deep Purple live albums of recent years. We did not need a new live release, let alone two of them that are almost exactly the same. 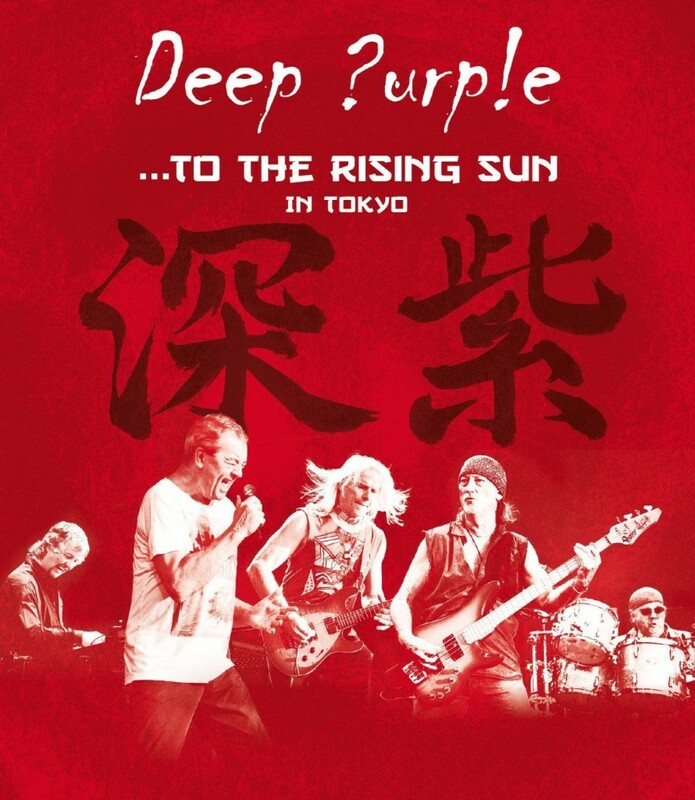 ...To the Rising Sun was recorded by Deep Purple in Japan, which has long been a popular concert destination for them. …and then there is Ian Gillan. In this guy’s prime, he was one of classic hard rock’s best vocalists. That is a fact that cannot be denied in any way by anyone who calls themselves a rock and roll fan in the least. But the last few years’ worth of live releases have shown that he can no longer hit the high notes, and his performances of the older songs are atrocious. Just days prior to reviewing these albums, I attended a performance of a Deep Purple tribute band out here in Vegas, and their singer did a far superior take on this material than the real Gillan himself can these days. I love and respect the man’s contributions to the world of rock and roll, and the newer songs actually do not sound too bad for the most part. But it may be time to consider retirement at this rate. Both albums are two-disc sets, with the Wacken show clocking in at about 90 minutes, and the Tokyo show clocking in around 110 minutes. 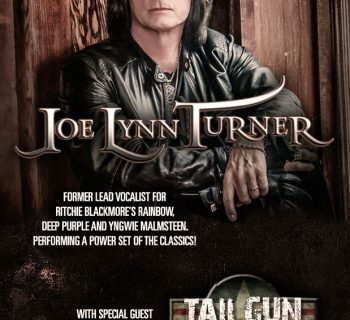 If I had to recommend only one of the two, I would say get the Tokyo show; it is longer, has two tracks not on the Wacken album, and all you are missing out on is Highway Star (a Deep Purple classic, but the performance of it is pitiful on the Wacken album due to Gillan’s declining voice). These live releases are not a total loss, but they definitely feel underwhelming and average, and fans will be getting very little they have not already heard on one of the other more recent Deep Purple live releases. 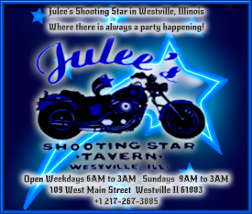 That said, I can recommend them for die-hard Deep Purple fans only, and no one else.